Tunnelling for the 33.5-km Metro line will result in excavation of 6 million cubic metres of rubble. The rubble excavated from tunnelling for Metro 3 may not be used for construction of the Shivaji Memorial and the coastal road as proposed earlier. With the two projects nowhere near beginning construction and the tunnelling for the Metro to begin by October, the Mumbai Metro Rail Corporation (MMRC) now plans to send all excavated muck to quarries on the outskirts of Mumbai. “The Shivaji Memorial and the coastal road will not be requiring rubble any time now. We will begin tunnelling by October and will have to remove the muck from the tunnelling site on an immediate basis. So until their construction begins we will have to send the excavated material to quarries in the outskirts,” says R Ramana, Executive Director (Planning), MMRC. The tunnelling for the 33.5 km Metro line will result in the excavation of close to six million cubic metre of rubble. Earlier, after discovering that good quality basalt rock will be dug out, the MMRC planned to reuse this excavated earth for the Shivaji statue, the coastal road and some activities of the Mumbai Port Trust (MbPT) and the Jawaharlal Nehru Port Trust (JNPT). “The contractor will take the final call regarding the reuse of earth as according to the contract terms the excavated earth is his property. He will take the decision based on what is most profitable to him,” adds Ramana. The coastal road, which will extend from Princess Street Flyover in the South to Kandivli in the North, is still in the tendering process and may not begin construction this year. 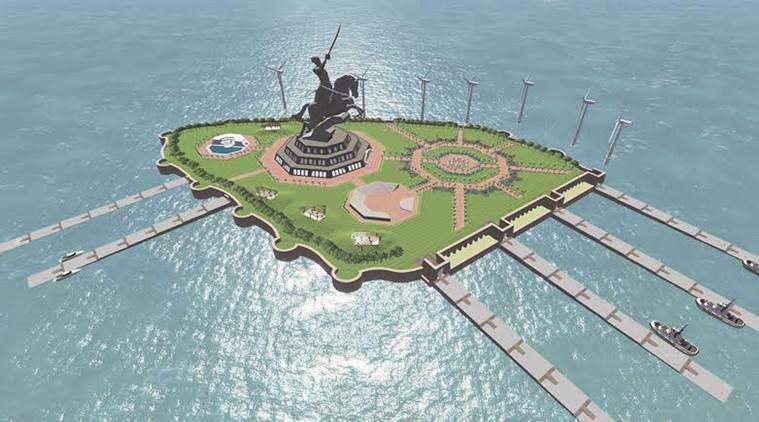 Even the Rs 4,000-crore Shivaji Memorial, touted to be the world’s tallest, is far from construction stage. The use of excavated rubble would considerably bring down the total cost for the two projects.